If you wanted to increase sales in your company what would you do? Many times over the water cooler we’ll talk in theory with our work colleagues about all the things our companies are doing wrong. How we aren’t doing the right strategies or the right techniques to get more customers. But what would you do if asked about your ideas to increase sales? Many would simply melt into the floor, and as a puddle of ooze on the carpet, wish that they’d done a little more research on what does sell. The fear of not wanting to make a mistake can hold many people back. Luckily, this article is here to give you the rundown of some incredible ideas you can use in your company to increase not only your companies sales but your own reputation as a master sales strategist. Before you can embark on the adventure of creating amazing ideas to increase sales, you should first understand where great sales technique starts. It starts when you walk into work when you put on your salesman hat and you begin work. For some, it even starts before then in the morning. The very best salespeople in every single industry will make a conscious choice every single day, and they will decide, today I’m going to be the very best. By saying to yourself, a positive affirmation, that you are going to achieve the very best sales possible by working as hard as possible, every morning, you’ll have already achieved a greater level of enlightenment than over 90% of the rest of the workforce. Once you’ve got the right mentality to succeed, it’s time to give you a little inspiration and hit you with some ideas to increase sales. Here are our 5 top tips on how to increase sales. Doing a to-do list before bed accomplishes a few goals. One, you can map out what you have to achieve for the following day. Two you can map in regular intervals and breaks based on the amount of work you need to accomplish. Remember that breaks throughout the day are crucial, underperforming sales teams are 1.5X more likely than high-performing sales teams to report a lack of downtime. Finally, by knowing what work you need to accomplish the following day, you can-reorder that list in the morning in order of importance. Once that’s done, work from the top level down and you’ll be achieving the most important tasks first. Nothing is truer than the realization that the game of sales is a numbers game. The more people you ask, the more people you’ll sell to. Now of course if you’re selling 20 billion dollar defense contracts, it’s not going to be the case but for most people, the more leads you have, the better you’ll do. You can have a salesperson that is persistent and closes 60% of her customers, but if they are only dealing with ten salespeople a week, the maximum they’ll ever get is ten deals. If you are a salesperson who has 40 leads per week but only closes 30% of those leads, you’ll still achieve a much greater result than the person in the above example. 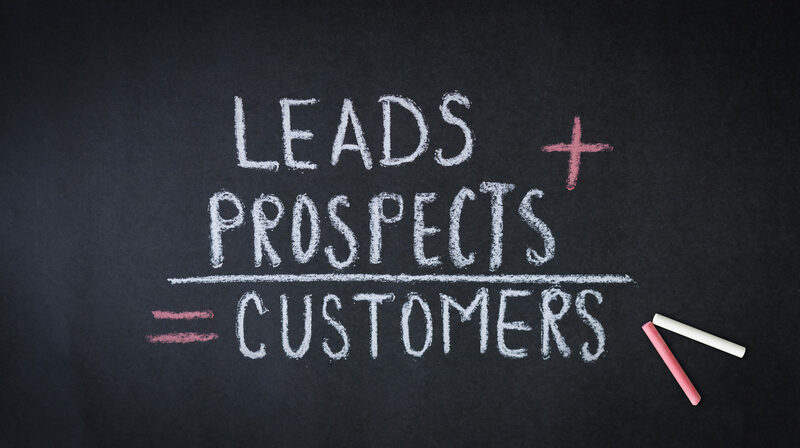 Leads are gold, make sure you have as many people to sell to as possible. So a customer gave you some interest, and you spoke to them, but they didn’t commit on the day, I guess it’s time to move onto the next customer, right? NO. One of the most successful ideas to increase sales you can incorporate is a quality follow-up procedure. It’s rare for most people to convert on a first attempt. If you leave it to chance for them to stumble across you and your company again, you’re missing a trick. Remember to keep it soft, end the ordeal on a high note and make sure to create a way to follow-up with them. Create an opportunity to speak to them again by suggesting you can contact them about a new deal that may be arriving next week if you’ve exhausted all other options. Just make sure to follow-up. Having a great morning routine is one of the secrets to success for many entrepreneurs and celebrities. Celebrities such as Oprah and Jim Carrey have used morning routines and visualization techniques for years to achieve their successes. A morning routine sets you up for the day and incorporating things like exercise for just 30 minutes accounts for 23% more productivity. If you set up your day by waking up an hour earlier with the purpose to work on yourself and set out your expectations for the day, the difference it can make to your sales and your life is amazing. The Pareto principle has helped businesses for years understand what is giving them the most success and what is taking the most time and achieving the smallest results. The Pareto principle also called the 80/20 principle dictates that 80% of your income will come from 20% of your efforts and 20% of your income will come from 80% of your efforts. This identification of what the most effective use of your time for the biggest financial reward helps you to double down on your strengths and become focused on just that. Using this sales idea to focus on your customers who earn you the most and trying to attract more leads like that, can be one of the secret ideas to increase sales that your business needs. Now you’ve got these five simple tips understood; it’s time to put them into practice and build a sales plan that works. By understanding that sales are down to leveraging your mentality, the number of customers you put into the top of your funnel and the quality of those customers you have the perfect five-step formulae to completely revolutionalizing your sales process. If you want more help or advice on some of the best ways to get more out of your sales force, contact us today. Download Mapview from the iTunes App Store and try it free.